We don't need more databases, we need more meaning, according to OpsDataStore CEO Bernd Harzog, appearing on a podcast covering IT operations analytics trends. Log and other machine data form one of the big cogs in big data today. For some time, analyzing such data has been a part of data managers' efforts to gain a better view of customer activity. But big data tools for log analysis are only beginning to serve in some areas -- one of which is IT itself. IT operations analytics is an emerging discipline that taps into Hadoop, Spark and other big data tools to provide a deep, real-time view of how servers and networks are performing. The lowly log provides the impetus for the journey. While IT administrators have been gathering system performance data for a long time, they -- like others in other areas -- have not always been able to successfully analyze what that data means to actual operations. As this podcast's participants remark, IT pros are often like the mythical cobbler's children in this regard. But that is changing. The area is growing, right along with the surge of networked server farms. Interest in IT operations analytics will continue to vault forward, according to IDC, which has forecast a 16.1% compound annual growth rate for the segment through 2019. 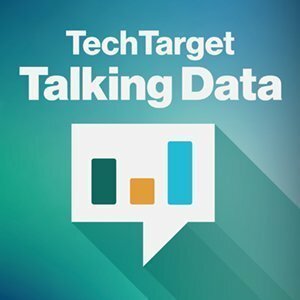 Analytics based on log and other machine data analytics are the topics for this edition of the Talking Data podcast. Joining the discussion is Bernd Harzog, CEO and founder of OpsDataStore, a company working to help convert varied streams of performance data and turn them into useful operations analytics. Harzog contends that IT administrators do not need more databases filled with performance metrics. "What they need is meaning," he says. This podcast is part of an occasional series looking at the broad reach of big data management frameworks today. Listen to this edition of Talking Data for an interesting view into yet another emerging area of big data influence. How are IT operations analytics tools being used in your organization?